Ex-large paper shoppers have never been more convenient, strong and better looking than this before. 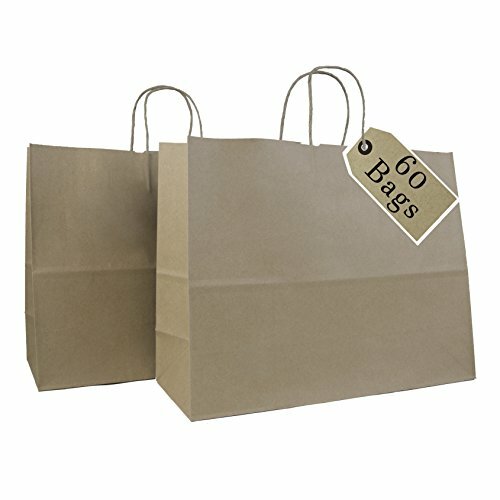 Incredible Packaging Ex-large kraft bag is just the perfect size for lunch, gifts, storage and so much more, It's the perfect way to show your clients that you care about quality. The top and the bottom of the bag are Cardboard Reinforced, and each bag comes with a Rope Style Handle. The bag Measurements are 16W x 6G x 12H. WHAT THIS BAG IS BEST FOR: This bag is best for Retail, Merchandise, Big lunch bag, Large Shopping Bag, Restaurants, Take out, And to keep a Large amount of bread fresh. Check out our other craft bags to see what fits your needs the best! This bag has been tested for food safety.